Since 2008 PDFfiller has served businesses and individuals who are determined to go paperless. Taking their workflow to the cloud, keeping it accessible and secure is our mission. 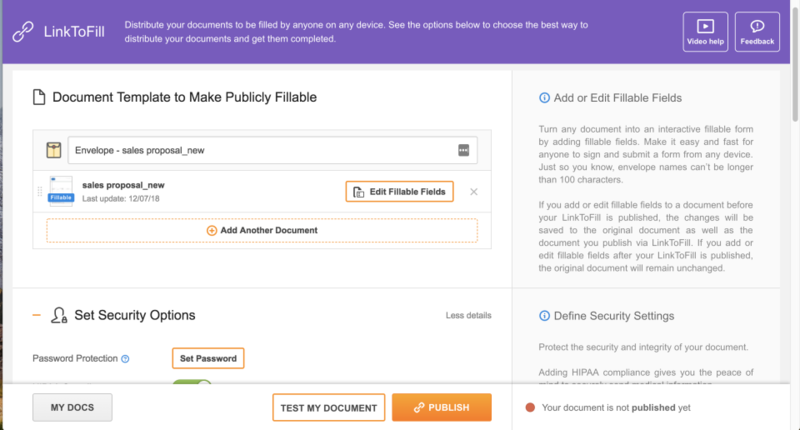 PDFfiller is a GDPR compliant online PDF editor, e-signature manager and fillable PDF form builder in a single web app. 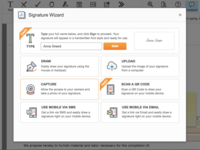 Edit and e-sign PDF documents online, create fillable PDF forms and send them for signing. Share documents via email, social media or host them on your company's website. Fax, print or send PDFs via USPS right from your PDFfiller account. Get completed copies of submitted and signed PDF forms and automatically extract data to an Excel file, CRM or database. Pros: I work with PDF's every single day and that requires a software that can handle PDF files with ease and allow me to create and edit these on a moment's notice. PDFfiller is perfect for that. PDFfiller allows me to store private data fields (and documents) safely and share them with the right recipients knowing no one can intercept the private data on the way. My team and I often use the same templates on a daily/weekly basis, which saves us a lot of time all together. The interface itself is easy to use once you get the hang of things. All things considered, PDFfiller is an outstanding solution for all your business' PDF Needs. Cons: PDFfiller took a few days to learn the basic functionality of, but that is to be expected from a software that provides us with great value. I did not deduct any points for this as this is a very minor inconvenience. Comments: The software was exactly what we needed to create our own easy to fill forms that were used on a daily or weekly basis, as well as having an easy way to send signature requests directly from the program. It is very easy to use and has forms categorized for different business types. Pros: This software is an excellent choice for businesses that have the need for the same forms on a regular basis. PDF Filler saves your forms in your account making them easily accessible to you any time you need them. You also have access to hundreds of forms created by other users as well, you can send signature requests, and can use the software for filling online forms as well. Cons: Overall I liked the software, but I thought that in the beginning when I first began using the software, it was free to use, but I could be mistaken. In order to use all of the features of the software, it can be costly. Pros: I can easily create, manage and edit my pdf documents with Pdffiller. It is a cloud storage where you can quickly login through facebook or google account. Open your pdf and edit it easily. You can convert your document to the available templates fit for your form and objectiives. I like it because i can open my documents in a web browser or through its desktop application. 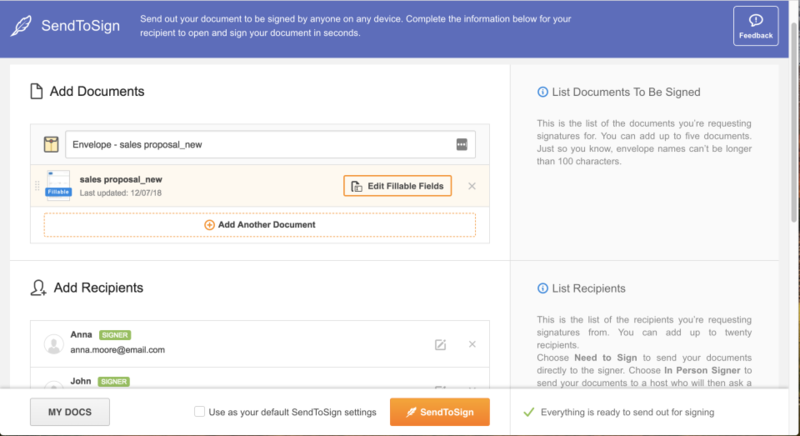 You can easily create a form where the recipient can put his or her signature by using its send to sign tool. You can share your document. You can email it. Whats best is that you can have your form notarized. Cons: Pdffiller has different plans and price is affordable depending on the number of users. However chat support or customer support's turn around time to resolve issue also depends on your plan. If it is just basic, expect support to attend to you within 24 hours. If you have the premium, then it will be instant support. easiest way to fill forms! Pros: In my job we need to complete a LOT of forms (we are a law firm specialized in tax and corporate law so we need to complete a lot of forms that come in PDF format) and some of them doesn´t allow us to make any edit in the regular PDF program so PDFFiller is our salvation. It is super easy to use and it allows you to edit the entire document using only this software. You can add text or even delete parts that you don´t need. It is a software that doesn´t require any effort to understand because everything is as simple as upload the document, make the changes and save as pdf or print the document. I use it every day and I find it very complete for the things that I need. Cons: You are not able to use it in several computers, so if by mistake you open your session on another computer you may loose your work. Overall: I like it and I recommend it to anyone who works with Forms that cannot be edited using another softwares. Pros: It is just so easy to edit and manipulate PDF documents. Out of the many features available, the one that I have used frequently is the merge feature. This allows me to merge many pdf documents into one file. I normally combine all my many financial documents into one file for better management purposes. The split feature is great especially when certain websites only allow a certain size of pdf file (e.g. 2 MB) to be uploaded to their website. The split feature is so easy to use. Cons: The only problem I have encountered over the years, while using the software, is trying to use or manipulate a pdf document that is password protected. On a few occasions the software won't allow manipulation of the pdf document when it is password protected even though you know the password. I don't know why this is. It does not matter what feature you want to use - the same problem arises. 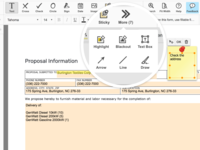 Overall: It is a great tool and I enjoy the ease with which one can manipulate pdf documents. Pros: So you're working on a project, job, whatever and you get a form that needs to be filled out, signed, and returned. It's a PDF file which is great because nothing can be edited off the original form. You're only responsibility is to fill it out and send it back, but you don't have a printer available, there's no fax machine around, and this form needs to be completed ASAP. The PDF filler is an amazing tool that gets the job done. 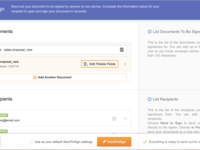 Not only does it allow you to fill in information on any PDF file, it also allows you to upload your signature to docs as well. Cons: So while you can add your information to any pdf file, some of the files don't always allow for ease of filling out. For example, some forms allow you to type into blank spaces where words and information are supposed to go, while others have distortion issues and don't always allow for certain spaces to be typed into. Overall: Overall, it's an amazing feature of the Adobe family that comes in handy for myself and especially in my industry where contracts are signed and requested frequently. Cons: Honestly, there haven't been any tasks that I typically need to with PDF editing, etc. that PDFfiller already provide. Overall: I use PDFfiller on a regular basis. The enhanced security options, including the ability to email a PDF to someone and that automatically includes a 'security code' for retrieval of the document gives me a sense of security since the actual document is not attached to the email, which could be intercepted if someone hacked into your mail server. I also use the merging tools, allowing me to combine multiple PDF's into one file, move pages, etc. It helps me to better organize my PDF libraries. Considering the other options of using a very high-priced service/product (Acrobat), PDFfiller is, in my opinion, a much better tool. 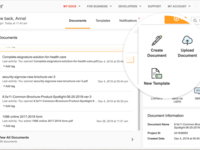 Manage and edit your PDF easily and quickly. Pros: pdffiller is a pdf processor quite different from the others, you can not only convert your files from pdf to other formats (and obviously from word, excel and others to pdf), but you can directly edit and process your texts online, so which you can write about the document, underline, place images, delete phrases and all the other things that a word processor allows you to do. Another advantage and surprises that you have, is that you can use files that are not only on your hard drive, but you can also use files from the web (through the address of the document) and you can integrate pdffiller with some app that you use daily as google drive, box, one drive and others. Finally, a very remarkable feature is that once you finish editing the file, you can choose some classic options such as the format in which you save it, but it also gives you the option to share it via mail, print it, send it by fax and use it in some social networks like facebook. Cons: Even if it is a bit strange, I miss the function of compressing the files, because whenever you add images to some document, the weight of the file increases a lot and makes the handling of the file more difficult. Besides that, there is nothing more to comment. Pros: Up until a few years ago, all PDF software seemed the same to me. 'What could they do that much better to make a difference' was a question I asked. PDFfiller answered the question the first time I got to use it. PDFfiller is the perfect PDF editing and managing software that I have tried by a mile. Modifying documents and making last minute changes has never been easier. Smart signature protection, revision history, and commenting are just a few of the great features that make PDFfiller my favorite. Cons: Loved it since the first time I got to use it. Well worth the price. PDF Filler is a must for me! Pros: I love the ability to quickly, and easily, create/copy professional proposals for my customers. I then save each file as a PDF (with my logo embedded at the top left of each document), and attach via e-mail for completing my estimation process with each customer. Cons: The only thing I've discovered is with the particular template I use for my particular proposals - my template has an area that indicates "Page 1 of _" ... well, there are no additional pages that are affiliated with my template, so I end up either having to re-edit to ensure my entire proposal fits into "Page 1", or I have to continue additional pages outside of PDFfiller. Overall: I love it! As a small business owner who strives to maintain a professional business image (website, business cards, etc.) , PDFfiller does just that for the proposals I create for my customers ... both future, and repeat. I know for a fact my customers appreciate the quality and professionalism of the proposals they receive from me - they've told me so! Thanks PDFfiller! Pros: PDFfiller is incredible, it has allowed me to create fillable pdf forms to submit them to new recruits in our company, and that way we have reduced a lot of paperwork since all of our personnel files are in digital format. Also when interviewing for a position we have been able to automate and rank our candidates via our fillable forms. Overall: PDFfiller is a software that any human resources analyst needs to learn how to use, it really sets you appart from other professionals. For me it has been the best way to automate several processes at work. I absolutely recommend it. Pros: In our office we need to fill a lot of IRS, FDOR and Court forms. This software allows us to fill them and save them a feature most of the governmental entities don't allow us. It also allows us to erase and edit all pdfs which makes our lives easier. It also allows you to load a document from every possible location, even has its own data of forms. Cons: What I don't like about this software is that in order to go to the next page you can't roll down you have to switch pages and sometimes I end up missing a page of the document. What an awesome product. We use accord forms so often in this office that it is nice to have help! 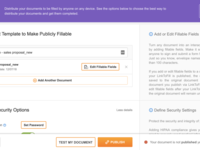 Pros: We like that most accord forms we use are already available from the site, but more so than that, the fact that we can upload our own documents as well. When you have to generate 150 certificates for one client, all different, this program makes that process seamless. The site runs very well, have not had to deal with freezing issues or losing extensive work because it didn't save, the site always saves my work for me. We just couldn't be more happy with the service. Cons: There is not a lot that we do not like about the program, but one thing sticks out for sure. If one of my agents is logged on to the site and another agent logs in, the first agent will usually be kicked off. This was not really even an issue since the system always saved the agents work, and all of my agents will announce now that they are logging in. PDFfiller is the best program to view and edit PDF documents. It is a tool for professionals. Pros: PDFfiller is a very useful application to send and receive files in PDF format, create refillable forms and sign documents in a very simple way. Its "autocomplete" function makes the job easier. It is a very light software that does not occupy a large space in our team. Overall: This program provides efficiency and quality at a very affordable price. Is it worth the investment. The one year package is very good. I recommend it. Pros: I work in real estate investment and handle documents and other forms that are basically fill-ins for our tenants. PDF Filler has to make the job 300 times easier because it will add space or make everything look like its in its right space. It makes filling out a document legibly easy and fast so you then can be more productive in your work day. Cons: There are similar programs that allow you to do the same thing it might change spacing, or other aspects of a document. 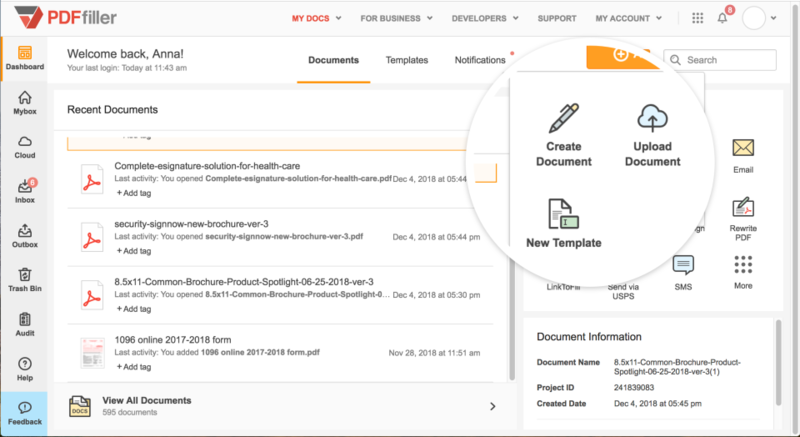 Pros: PDF filler has a large library of documents, anyone can easily personalize templates, can prepare add signatures and finalize documents all in one step, saves time! Overall: Time utilized more efficiently, forms completed with step by step guidance, simple for beginners or working late hours, most documents are available in the library, folder organization, can add signatures all in one spot. Pros: Cloud security, ability to easily create templates for commonly used forms, flatten forms after fields filled in when saving to hard drive, in PDFFiller form remains in tact and is editable for reuse, and menu set-up. Cons: I wish PDFfiller would add the ability to add pages to a documents and allow downloading of templates created. Currently, in personal account, PDFfiller allows emailing to recipient to update information in fields, but doesn't allow me to download my template to my hard drive. Overall: PDFfiller allows me to utilize the same forms frequently. As a result, templates or refillable forms ensure document preparation is quicker and more efficient. Love the ease of use. Pros: Initially, I was hesistant because learning new software is always my dread. However, once I signed on it was so easy. Makes daily document updates and creations easy. I can always find an Accord form I needed with this as well. And edit of pdfs are no longer an avoidance. Cons: Sometimes there is a delay from screen to screen. But nothing to really complain about. Overall: I would highly recommednd this product to any business person. Pros: I have used PDF Filler for many years now, it is easy to use and there are many features that it does have that I don't use. If you use this tool to the max, it will benefit any company. Cons: Nothing really to mention about that is bad about this program....I know there are a lot of features that I don't use, that I would like to learn how to integrate into my company. Overall: Very good product for the price. I highly recommend the annual membership. Pros: The ease of editing .pdf files and forms. Cons: Challenges with sending files for signature and security options. Overall: I just purchased a subscription to PDFFiller due to being unhappy with a recent upgrade to Adobe's Document Cloud, and I'm absolutely thrilled with it so far, although I have been having some minor challenges. I suspect this is just part of the learning curve, but twice I contacted the online chat support and I am happy to say I was working with actual humans who were clearly native English speakers - a huge time saver when there isn't a language barrier! The challenges pertain to sharing documents. I was not signed up for the E-Sign upgrade, and shouldn't need to be in order to obtain client signatures, as far as I can tell. However, I don't mind signing up for E-Sign, and because the price is very reasonable, I went ahead and upgraded. I'm not certain what level of security is necessary for my line of work, and there are numerous choices available. Also, I had a problem when asking for phone number authentication, something that apparently can't be used when a document is emailed vs. sending a link. I'm still learning, but this is easily the most user-friendly .pdf system that allows for client signatures AND .pdf creations and edits, all while retaining security measures. Pros: I love PDFfiller, it is a great software for creating fillable PDF forms and this has allowed me to go almost paperless in my office, I just create the forms, send them to my patients and they send them back and that is it. Cons: At first it can be somewhat complicated to use, I believe that it has a steep learning curve, but once you get the hang of it is just a great software. Overall: PDF filler has been extremely benefitial for me, I has allowed me to go almost completely paperless, and this has had a great impact for my business since paper cost is extremely high in my country. Pros: being able to type into PDFs, upload easily, fax directly from my computer and send to sign feature. Have been utilizing PDF Filler on my last 3 temp assignments and now purchased a 1 year subscription. I also like the black out feature and the way the software notifies you when someone opens your emailed over or faxed documents. Cons: The Price is way too much since i dont use it everyday like real software. Also, i bought a subscription and to use the advance features i have to pay more which is ridiculous since i already paid. Overall: Have been utilizing PDF Filler on my last 3 temp assignments and now purchased a 1 year subscription and the benefits are awesome except the price for the subscription is too high for someone that only uses this software weekly or biweekly! Pros: This software has changed our business. We are in a very form intensive business and not all forms come in electronically. PDFfiller allows us to convert them and manipulate them to our liking. Saves us tons of time and effort. Cons: Nothing I don't like. This software has allowed us greater efficiency, allowing us to focus our time on other things. Great to mark up documents. Comments: I like this software and they have a money back guarantee of 100 days I believe. Pros: I use this product to mark up documents and sign. I like to keep everything that I do 100% electronic, so with products like this, I am able to do so. Cons: I haven't found anything wrong with this software. It is great for any industry who deals with electronic PDF files. PDF Filler has been a great tool for our business for a professional look with a great price. Pros: PDF Filler provides and saves time when filling out applications / tax papers / and other business files. It creates a professional look and is quite easy to use. With common files also at hand it makes filling these out quick and easy. The mail tool was even used when we completed our taxes. PDF Filler printed the paper out and mailed it themselves without us ever having to go to the post office. Cons: There isn't too much. If I could say anything sometimes the website moves a little bit slower than some. However this seems to have been improving lately. Overall: Professional Look for a cheap price. The software makes filling out government documents / applications and other PDF documents easy and efficient. Pros: Ability to create and save documents required by insurance industry is a plus. I like being able to access the program from anywhere and being able to upload documents for client files. Cons: Does not have ability to do sub folders and wish there were a section for each client for notes for tracking of conversations. Also wish there were a calendar where you could add tasks with reminders. Overall: this product is well priced which is great for a startup business. The accessibility of acord forms is a big plus. I do wish it had a few more features that would make it even better - like the ability to attach an email without having to save in pdf and upload - and having a task option for future projects would be so great. Pros: I couldn't do my job without this tool. I utilized this everyday as I create and fill out forms quite often. Its very simple and does not take any time to understand how to utilize the software. Cons: At times it can give you problems when you try and save and add certain things. I've also had problems copy certain areas. Pros: I love that this software is so convenient and easy to use. Its a must have for completing and signing documents for your business electronically in a quick and efficient manner. Cons: The mobile app for this software is not that easy to use as the online (desktop) version. Overall: Overall, this software is a very useful, less time consuming, and efficient addition for my business. I love that I can complete and sign required documents on the go with no hassle, without having to print and physically complete and sign any document. Cons: You can edit documents from any device but it is mandatory to have an internet connection to use it, so you can not have it as the only editing tool. Overall: Saves me from taking up so much of my memory on the office computers. Easy access and you can edit your documents anytime. Pros: For my business this was and is the best tool I have for putting together insurance reports. Build or scan in a template and fill in the blanks when you need to send a report out. BAHM! DONE! Cons: Probably something I have not spent enough time to figure out yet but as of now each time I fill in a blank template it auto saves it so my original always has to be cleared before new entry. Overall: Love what this has done for making my job so much easier at a very reasonable rate. Pros: I have been using PDFfiller for a while now and its very easy to use. its highly eeffective to modify and edit all your document. very fast and a time saver. Cons: My only problem is that sometimes slows down when uploading a large file. but when that is done the rest works like magic. if you haven't tried this yet then you missing out. what an easy way to edit all your documents. i urge you to just try it. you will never regret it. edit your PDFs as the best. Pros: 1.- It's Free. although there are some functions that are paid, for daily use just a free account which is very good. 2.- Pretty friendly and friendly interface. Everything is understandable and the use of the program is very easy to understand. 3.- Its use can be integrated with dropbox, googlr drive, box and onedrive. 3.- You can use files that are in your pc, your cloud or in some website (in this case you just have to enter the link). 4.- with the built-in editor you can add images, scratch, write in the text, delete sectors, hide words or paragraphs with black, add lines, and many other things. 5.- You can save your work in pdf, word, excel or powerpoint format. It also includes the option to send via mail, fax or simply share the link. Cons: the bad thing, is that if or if you must register to use it, which perhaps is not something serious, but the program forces you to do so. Pros: PDF filler is just great for any office, every day we are going for a much paperless way of working and being able to send fillable pdf forms makes this much easier. Cons: Sometimes when creating the forms I'm having issues when placing boxes, because they sometimes don't line up where I want them to go. Overall: Overall using PDF filler has been an awesome experience, It has been really easy to use and it has allowed to reduce the amount of paper in the office. Pros: This software is the answer on my problem before on how to edit the PDF. It is very helpful to me and to my team. Easy to access and easy to use. Cons: Sometimes I experienced the slow loading of software but it is totally manageable to make it better. Pros: The software is easy to learn (I'm old so my patience with new programmes is not good). It has never frustrated me to use. Overall: I am forever annotating drawings for the Home Improvements I offer my customers. We can assume that people understand drawings but most don't. The extra points I can make using arrows and text make it easier for my customers to understand and I know it helps me win business. Pros: This tool is very helpful to me. I can easily edit the PDF file using this tool. Very easy to use and I can used it anywhere. Cons: So far I have no negative feedback in this tool. Easy manage and it can be used via phone. Good for all kind of business. Pros: Its ease of use. I tried it after a web search when I needed to do some general edits and create some pdf files and I didn't want to spend a ton of money for Adobe. This program was just the ticket. It allows me to insert/extract pages, rotate, create from other programs, and do some minor edits. Fantastic and powerful... easy to configure and use. Cons: Can't say that there was much I didn't like about the software at all. I continue using it even when I worked for a company that purchased Adobe because it was easier to use. Overall: I have used it to create and edit pdf documents for over 10 years now. This program is the best viewer and editor of PDF files that I found online and free. in downloading and installing heavy programs that deal with that work. I mean, it's so light that its discharge is super fast. hardly a detail if we compare it with the great advantages that this product offers us. Pros: PDFfiller has all the features that I need for my documents: adding a logo, highlighting, and drawing. I also think that it's great how you can seamlessly use Excel data to fill out forms automatically. This is especially helpful when creating contracts. Cons: The price is a little steep for what I see as somewhat of a basic software concept; however, it's worth it in my opinion. There is also a decent learning curve, but once you get the hang of all features, you can automate things and fill out your PDFs very quickly. Overall: I use PDFfiller to create contracts and purchase orders. For contracts, I typically input data into Excel, and then use PDFfiller to create the finished contract from my Excel data. 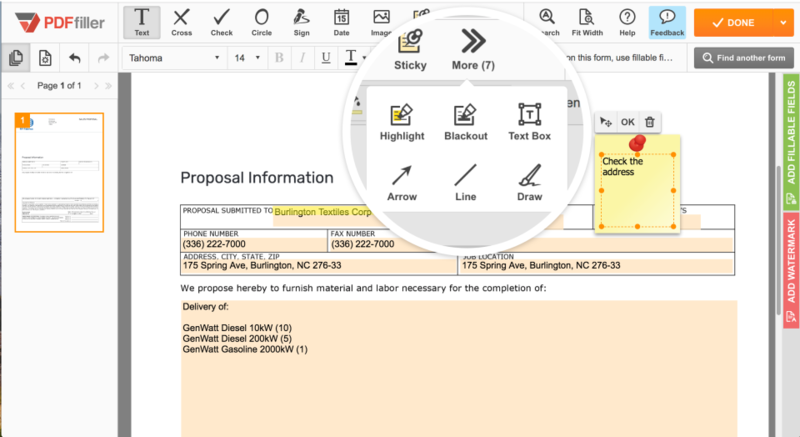 For purchase orders, I use PDFfiller to edit document information, highlight items, and sign the document. This saves me the hassle of having to print out documents, edit them by hand, and then scan/fax them. Very happy with PDFfiller, as it most certainly makes my job easier. I use this software daily to mainly merge other documents into one PDF. It's very user friendly. Pros: Merge feature and being able to delete pages that I don't need. I like that I can save my agency's details on the different forms I use; rather than retyping each time. Cons: It has locked up a couple of times but once I get out and go back in it's fine. It hasn't happened in the last year so they may have done some updates to the software. Overall: time management and expedition of documents requiring signatures! Provided ease by timely consistence and effortless interface in preparing & modifying quality forms. Pros: Ease of use. From downloading to modifying. Short learning curve. Provided easy solution to modifying old forms by scanning/uploading and easy modification. Cons: From what little I used it to create new forms, more flexibility would have been nice for import and modifying images. But since I rarely used this program for creation I may not have explored the features properly. Pros: PDFFiller saved my books! As a young author, I had no idea what I was doing and deleted my original documents once the books were published. I only kept the print-ready PDFs. Years later, I realized there were a lot of spelling mistakes and errors in them, and wanted to re-publish. Since the books had photos, I couldn't simply convert to a doc. Most PDF tools online didn't work, or put on watermarks. PDFFiller allowed me to edit the text in the PDFs, to correct the spelling mistakes, and merge the documents into one cohesive PDF again. I was able to republish an edited book without the original documents, thanks to PDFFiller. Cons: The one thing I missed that could make this a fantastic tool- the original book was 8.5x11. I wanted to republish at 6x9. I ended up having to resize it through a different tool, which simply shrunk everything instead of being able to directly resize the content. Due to that, the book appears much smaller on the pages than it should, and I've received some complaints that it's harder to read. If PDFFiller had a viable PDF resize tool that worked to resize the content versus simply shrinking the document, it would be a stellar addition to the repertoire. Pros: This software is a great time-saving tool in that it allows me to fill in, search, and edit forms and send them electronically within minutes. That way, I don't have to manually hand write information the form, then scan them (or mail them) and wait for recipients to respond. The software basically digitizes the workflow process, which saves me a lot of time. Cons: The software is limited to specific industries and the forms and features that these industries use. Therefore, not all forms and features are fully applicable to our company so we can't take advantage of them. many thanks for your positive feedback! They will help you find the form you need or at least a reasonable substitute. Pros: What i like the most about this software is the fact that when i have to edit a pdf wher i lost my source document i dont have to convert it in order to edit it, i can just simply use pdf filler editing functions and that's it. Pros: Allows you to go completely paperless. Create pdf files from Excel, Word, etc. Merge or split different files. 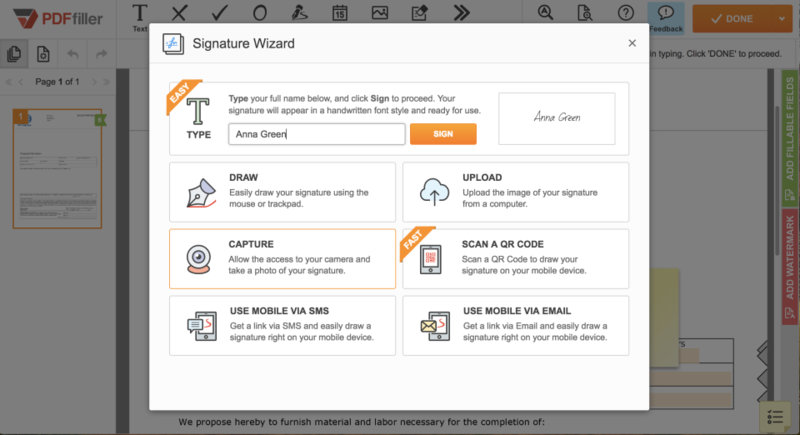 Offers electronic signatures. Easy to operate. Can track if the document has been viewed. Cons: The app does what it says it does but in order to use more advanced features and options, the cost can get expensive. Pros: As someone who has to work with lots of clients at the same time, being able to send a fillable form to be acompanied by the requirements we need from a customer makes our work a lot simpler and more organized. Cons: I have found that PDFfiller lags a bit at times and when creating or editing large files it is really slow. I've never had a tantrum using it...It makes my day much easier and saves me time and money! Pros: I enjoy using PDF Filler. It is a valuable asset to my business. I'm able to sign, send and receive documents, receipts, invoices, you name it! They have a form for everything, and if they don't, they will find one for you!! This program is easy to use and I love how there is a record kept of everything I send. Cons: I don't know how to re-use a form over and over without having to delete whats on it , so I can use it again. I wish there was an option to use a new one!! Great product at a very reasonable price. Pros: Ease of use and dependability. Great product at a very reasonable price. Cons: None. The product works as described with no glitches or problems. Pros: Simple, yet powerful tool for anyone who finds themselves away from their desk often. I can easily fill in text fields, E-sign and add pictures to my pdfs. I've also used it to print, email or eFax pdfs and docs.